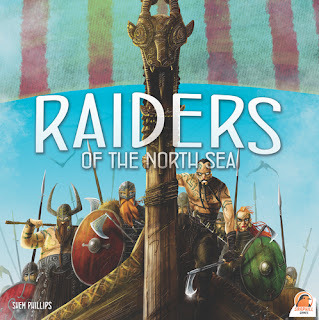 Nominated for this year's Kennerspield des Jahres (strategy game of the year), Raiders of the North Sea depicts the history of the middle years of the Viking reign and is thematically sound. As Viking warriors, players seek to impress the Chieftain by raiding unsuspecting settlements. Players will need to assemble a crew, collect provisions and journey north to plunder gold, iron and livestock. There is glory to be found in battle, even at the hands of the Valkyrie. Dead of Winter: Warring Colonies, a crossroads game expansion expands both Dead of Winter and Dead of Winter: The Long Night with new survivors, items, crossroads cards, and crisis cards. 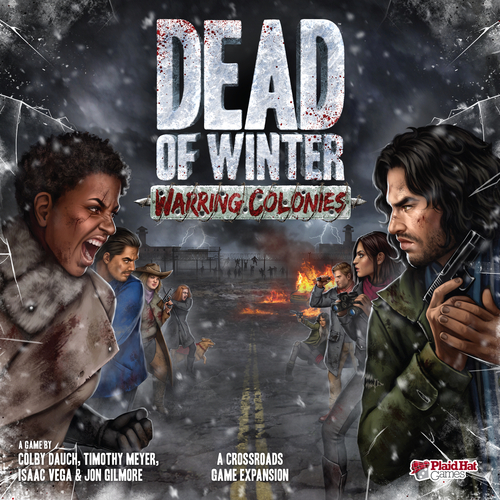 Additionally, if you own all three, play the new epic colony vs. colony variant for 4 - 11 players in which unique main objectives set two colonies against each other as they battle for territory with a new fighting system that includes tactics cards, bullet tokens, and 12-sided combat dice. New and terrible joint-colony crisis cards force cooperation and coercion every round. Add in the odd-man-out Lone Wolf variant for chaotic balance as he/she pursues his/her own secret goals while keeping both colonies in check. 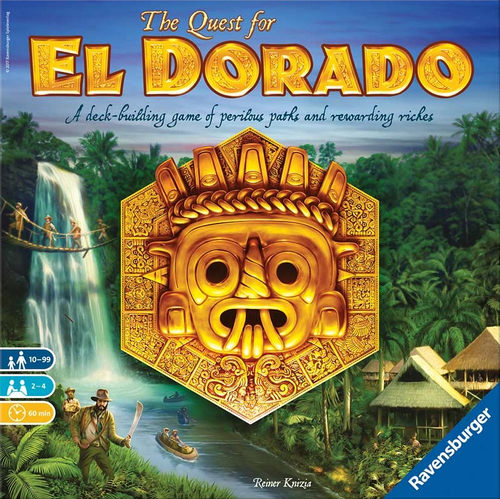 New from Ravensburger is El Dorado, a deck-building racing game by renowned game designer Reiner Knizia. With a variable game board, players are explorers racing their way through the jungles of South America to be the first to reach El Dorado. 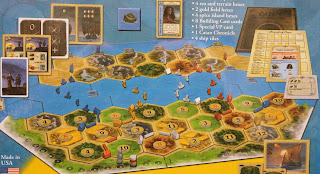 Players will build their expedition deck with movement cards, equipment cards such as machetes for clearing paths, paddles for crossing rivers, coins for hiring new team members, etc, and other special action cards that include the Cartographer, the Compass, the Scientist, the Travel Log, etc. 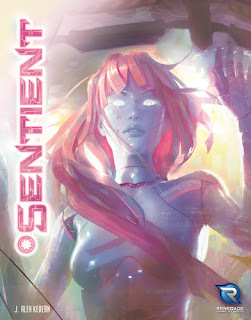 Sentientis a robot-themed tactical game for 2 to 4 players that is played over 3 rounds. Each round, players will plug 4 new Bots into their network, which will be scored at the end of the round. Each player has 5 dice in their network. 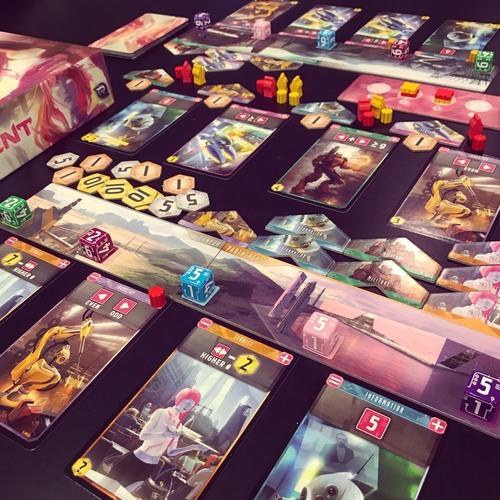 Bots plugged into your network will calibrate the adjacent dice up or down, and will also score based on the adjacent dice at the end of the round (some Bots score for having the same number, or having low numbers, or having even numbers, and so on). Players can also earn investor tokens based on where they placed their Agents when taking cards from the factory. investor tokens score for one of the 5 types of Bots, and will earn 1 point per Bot of that type that you collected at the end of the game. At the end of three rounds, the player with the most points is the winner. Wizard's of the Coast has added a second betrayal game with Betrayal At Baldur's Gate. 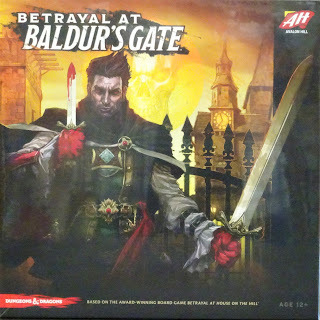 Following the successful Betrayal At House on the Hill, Betrayal At Baldur's Gate is a new stand-alone game set in the D&D® universe. With every tile you place within Betrayal At Baldur's Gate, your adventuring party works together to build the city's catacombs and alleys. That is, until some horrific evil turns one of you against the others! 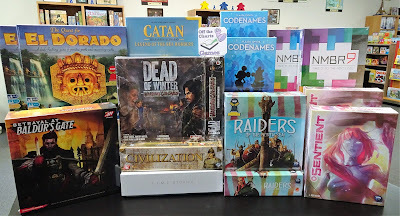 Then it's a race for survival as you face an onslaught of fearsome monsters from the Dungeons & Dragons® universe, like beholders and mind flayers. 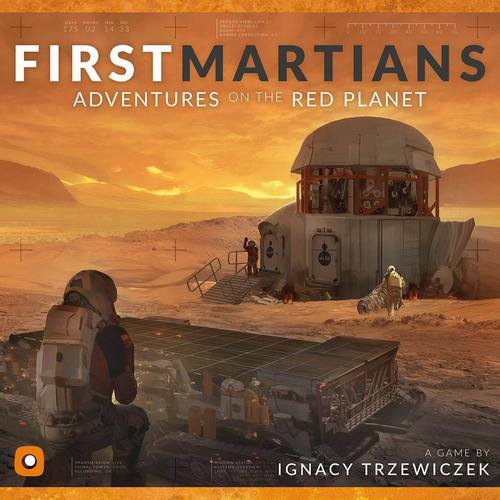 First Martians: Adventures on the Red Planet is a cooperative, story-driven adventure game for 1-4 players. In each mission, you will try to accomplish an objective within a specified number of rounds. The integrated app will challenge you with goals to complete and obstacles to overcome. As you begin your adventure with the game, you can choose either a standalone mission or a campaign. Standalone missions are single, unique experiences with a high amount of replayability. Choose a mission depending on which skills you want to focus on: exploration, research, or building. In the box you will find three double-sided mission sheets — they provide details about each mission. A campaign is a chain of missions that tell a riveting story — you will unravel it as you go along, making decisions and completing various tasks. 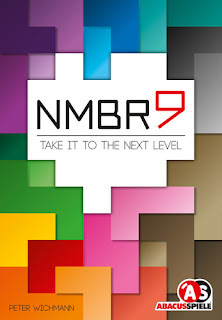 Challenge your mental acuity and test your dexterity in NMBR9, a puzzling game of strategically stacking tiles for 1 to 4 players. 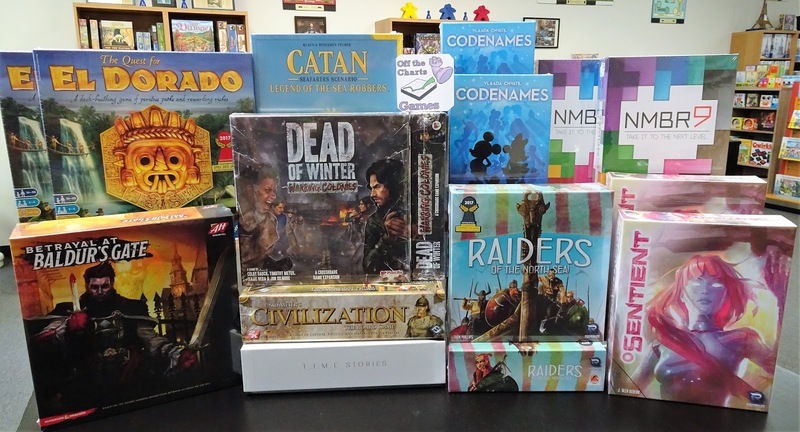 Players attempt to score the most points by creating their own displays of uniquely shaped number tiles. 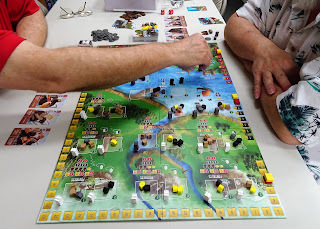 Tiles on higher levels of your stack score more points, but you must be careful how quickly you build upwards. Without a solid foundation, you’ll quickly run out of space for more valuable tiles. Each of the ten types of number tiles covers a different amount of space and no part of a tile can hang over an edge without anything below it. Properly consider all the factors and cleverly place your tiles to get to the bottom of this intriguing puzzle. 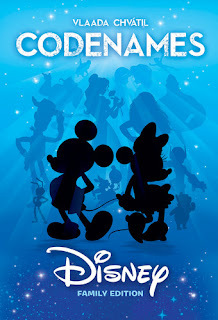 Third in the line of Codenames team games is Codenames Disney. Two teams compete to be the first to identify all of their team's Treasure Cards displayed in a 4x4 grid in the center of the play area. Each team will have a designated Cluemaster who will know the location of their team's Treasure Cards. The Cluemasters will take turns giving clues in the form of a code world that will help their team find their Disney Treasures. Be careful not to decipher a code incorrectly or you might help the other team. It's a race to identify all of your team's Treasure Cards first. 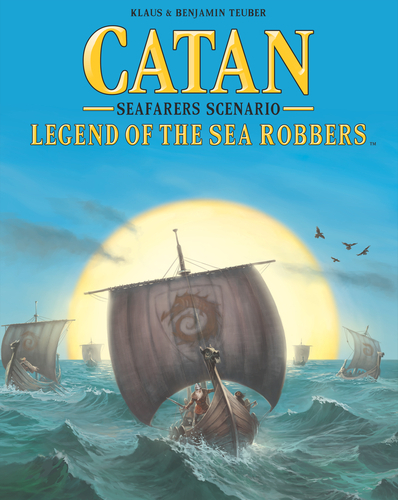 Legend of the Sea Robbers is a campaign of 4 linked scenarios and requires the base game Catan plus the Catan Seafarers expansion. Chapter 1: The Shipwrecked - you must rescue 3 shipwrecked crew members. Being first gains you 2 victory points whereas the others gain 1 VP. You will need 11 victory points to win. Chapter 2: The Raid - panning for gold. If players collectively manage to mine at least 10 gold each then they will receive a choice of a 2 for 1 harbor in the Chapter 3. You will need 12 victory points to win. Chapter 3: The Battle Against the Pirates - similar to the 2-point largest army card, the first person to destroy 3 pirate galleys gets the 2-point pirate terror card. 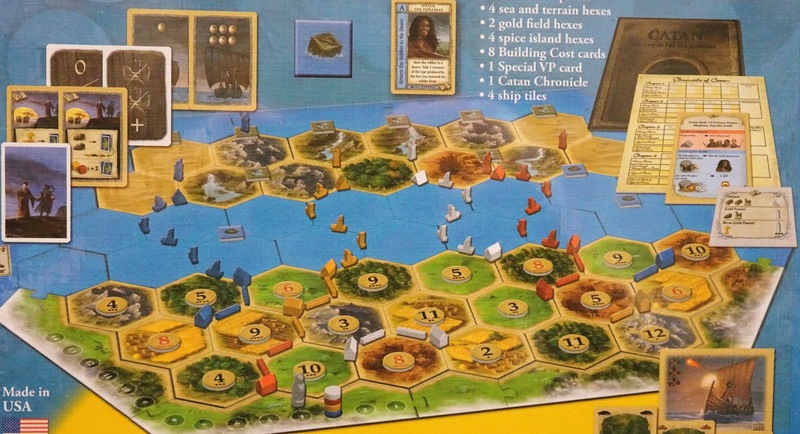 You will need 13 victory points to win.Chapter Chapter 4: The Spice Islands - gain and trade spice cards in for victory points. You will need 14 victory points. At the end of each chapter legend points are awarded base on 1st, 2nd 3rd, & 4th place. The most legend points at the end the 4 Chapters wins the game.